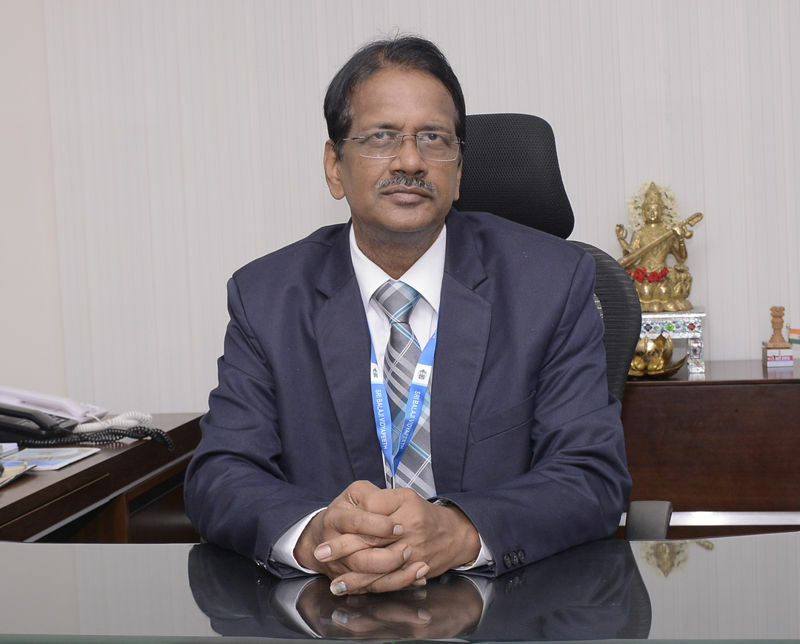 Prof. Parija is an eminent academician, avid researcher, keen votary of medical education and an able administrator. A former Director of Jawaharlal Institute of Postgraduate Medical Education & Research, Pondicherry - An Institute of National Eminence, Prof. Parija possesses nearly three and half decades of rich and satisfying teaching, research experience in Medical Microbiology. An author of 10 books and more than 267 papers in national and international journals, he has received several awards including the Dr. BC Roy National Award of the Medical Council of India 2003 for contribution to the development of Medical Microbiology and the Professor BK Aikat Oration Award 1998 by the Indian Council of Medical Research for diagnosis and epidemiology of parasitic diseases. The development of simple, economical and rapid diagnostic tests in serodiagnosis of parasitic diseases such as amoebiasis, cysticercosis and hydatiddisease ; and epidemiology of the parasitic diseases is the main field of his interest in research. Prof Parija was the first to demonstrate that parasitic antigens are excreted in the urine in hydatid disease and cysticercosis, and urinary antigen could be detected for diagnosis of these two diseases. He developed for the first time the carbon-immunoassay ( CIA ) and staphylococci adherence test ( SAT) as two simple rapid diagnostic methods using a light microscope; rapid IHA , protein A IHA , dot-ELISA for serum antibodies in the diagnosis of amoebic liver abscess , hydatid disease, cysticercosis and lymphatic filariasis ; and co-agglutination ( Co-A) , latex agglutination test and CIEP for the detection of antigen in the serum and other body fluids in the patients with amoebic liver abscess , cysticercosis and hydatid diseases. Prof Parija was first to report the use of LPCB , KOH ,etc in the wet mount preparation of stool for detection of intestinal parasites including Cryptosporidium , Cyclospora and Isospora by light microscopy ; suggested thick smear of stool as a sensitive method for demonstration of intestinal parasites ; suggested newer methods such as sucrose layer centrifugation method , and formalin-acetone method for concentration of stool . Prof Parija was first to document and report the prevalence of Entamoebamoshkovskii from India , evaluate a multiplex PCR for the first time for simultaneous detection of Entamoebahistolytica, Entamoebadisparand Entamoebamoshkovskii in stool specimens for diagnosis of intestinal amoebiasis , reported for the first time detection of Entamoebahistolytica DNA in the urine for diagnosis of amoebic liver abscess; and report Arcanobacteriumheamolyticum associated pneumothorax from India .Prof Parija conducted for the first time the knowledge, attitude and perceptions of rural people staying in two villages endemic for kala-azar in Nepal .For the first time reported the cases of Post-kalaazar dermal leishmaniasis, cases of imported cutaneous leishmaniasis, a case of kala-azar presenting with ulcers on the skin of the leg, a case of kala-azar without hepatomegaly and LD bodies-negative cases of kala-azar in Nepal ; and cases of ocular rhinosporidiosis from Nepal.ProfParija for the first time documented the prevalence of hydatid diseases, prevalence of enterobiasis in children , prevalence of Necatoramericanusand Ancylostomaduodenale infections, and intracameralgnathostomiasis from Pondicherry , India . In recognition of his immense contributions in research in parasitic diseases , Prof Parija has been honoured with several awards both international and national . The international awards include BPKIHS Internal Oration Award 1977 conferred by BP Koirala Institute of Health Sciences , Dharan , Nepal , for overall contributions to the vision , mission and goal of BPKIHS and contributions in the field of Microbiology and Parasitology. The National awards include Dr BC Roy National Award of the Medical Council of India 2003 for contribution to the development of Medical Microbiology , The Indian Association of Biomedical Scientists Award 2015, Distinguished BHU Alumnus Award , 2012 ,DR PN Chuttani Oration Award 2007 of the National Academy of Medical Sciences ,, Prof BK Aikat Oration Award 1998 by the Indian Council of Medical Research for diagnosis and Epidemiology of parasitic diseases , Major General Saheb Singh Sokhey Award 1992 by the Indian Council of Medical Research for serodiagnosis of hydatid disease at less equipped laboratories , Dr SC Agarwal Oration Award 2001 of the Indian Association of Medical Microbiologists , Dr BP Pandey Memorial Oration Award 1998 of the Indian Society for Parasitic Diseases for research in tropical diseases Third DrDatta Memorial Award 1999 by the Indian Association for the Advancement of Veterinary Parasitology ,DrS.R.Memorial Award 2003 of the Bombay Veterinary College Alumni Association ,IAPM ( Orissa chapter ) OrationAward 1993 by the Indian Association of Pathologists & Microbiologists ( Orissa Chapter ) for the development of simple immunoassays in the diagnosis of parasitic infections , SmtKuntidevi Malhotra Award 1990 by the Indian association of Pathologists & Microbiologists for his research work on amoebiasis , Dr S S Misra Memorial Award 1987 by the National Academy of Medical Sciences for serodiagnosis of amoebic liver abscess at primary health centre level , Young Scientist Award 1986 by the Indian Association of Medical Microbiologists for serodiagnosis of amoebic liver abscess at primary health centre level , and Best Scientific Paper Award 1987 by the JIPMER Scientific Society . Professor Parija is the Editor-in- Chief of the online journal , Tropical Parasitology, Associate Editor of BMC Infectious Diseases, BMC Journal of Case Reports , BMC Research Notes and member of the Advisory board many on-line Journals, and reviews regularly for the international journals. Prof Parija has founded the Indian Academy of Tropical Parasitology, the only professional Organisation of Medical Parasitologists in India and propelled the Indian Academy of Tropical Parasitology as a President of this organization to it present admirable position. He has also initiated the Tropical Parasitology, a journal with a prime focus on the tropical diseases caused by parasites as the official journal of the IATP. With an effort towards harmonizing the laboratory practices, he has initiated the IATP to conduct external quality assurance programme throughout the country for diagnosis of parasitic diseases . He has been conferred with various fellowships such as FAMS Fellow , National Academy of Medical Sciences) , FICAI (Fellow, Indian College of Allergy & Immunology) ,FABMS (fellow, Indian Academy of Biomedical Scientists) ,FIMSA (Fellow, International Medical Science Academy ) , FISCD (Fellow, Indian Society of Malaria and Communicable Diseases ),FIAVP (Fellow, Indian Association for Development of Veterinary Parasitology) , FIATP ( Fellow, Indian Academy of Tropical Parasitology ) and FICPath (Fellow, Indian College of Pathologists) by professional bodies . Prof Parija has visited many countries , delivered invited talks in parasitic diseases at universities ,institutions conferences , seminars etc , and has chaired scientific sessions in the international as well as national conferences .He has guided both MD and PhD students and has been examiner for MBBS , MD and PhD of various universities .